Here are some reasons why you should consider getting a secure server for your website. We live in a world where online presence is a must to survive in the competitive landscape. Merely getting an MIS degree from a reputable online institute or college is not enough. Along with your learned strategies, you must also safeguard various business relationships. Remember, your website is an essential extension of your brand. It is a significant touch point with your customers. If you don’t invest in a secure server, you can end up compromising on this vital relationship. There are various threats that unprotected websites are vulnerable to. For instance, a virus may infect the site which in turn may spread to site visitors as well. This can lead to compromising of sensitive customer data like names, email addresses, transaction information, and credit card information. If you are a small business, such a malware attack can kill your business. Customers today are very cautious of the type of sites they access. And once a data breach occurs, it can be hard for a small business to attract customers again. The guarantee of a safe experience should be enough of a reason to opt for secure servers. However, some might argue that they can still run a website without it. After all, what are the chances that your small business will be targeted, right? The chances are high, mind you. Well, if you don’t want to do it for the sake of your customers’ security, you might want to do it for a better Google ranking. Google is taking a proactive approach to encouraging websites to become secure. Currently, more than 40 percent of the first page websites (regardless of what keyword is searched), are those that are HTTPS. This is not a coincidence. Instead, Google has gone on record to confirm that their search engine prefers websites that have an HTTPS certification. This is because Google wants to ensure that its users have the best experience possible. If they direct traffic to unsecured sites, their credibility will get tainted. Hence, they have manufactured their ranking algorithms in a way that gives high ranks to websites that have valid HTTPS certification compared to those that don’t. How can you make sure that the information being sent by your customers to your website is reaching the right server? An SSL certificate can help in ensuring this. Moreover, while doing so, such a certification also delivers encryptions. This helps in securing information and makes it less vulnerable to data breaches. Your site users might access your website from an array of devices. It can be a laptop, a tablet or a phone. Any of these devices can get compromised due to a cyber-attack. This might lead to customer information being sent to the wrong destination. Authentication stops this from happening. This is because SSL provides a PKI or a Public Key transfer that guarantees that the data shared reaches only to the right destination. A lot of people argue that not all customers have a technical understanding of a secure server. Therefore, you can get away with not having one and hope for the best. Now, while many might not know the nitty gritty details of how secure server works, everyone knows an HTTPS site when they see one. Why? Well, it is clearly labeled when you access the website. In case your platform requires the users to share personal information they are more cautious. If they have to provide their credit card information they are likely to be alert about the presence of an HTTPS and SSL tag. Now, Google tells you when a website is not secured and that too in a red label. It is quite hard to miss. Therefore, if you use a secure server, more people are likely to carry out transactions using your platform. So, the conversion rate of your site and the overall sales turnover is bound to increase. An extension to all the above reasons is this final reason of why you need a secure server. By protecting your customers from phishing attacks and delivering a safe experience, you are bound to gain customer trust. You might think that the quality of your offering is the only thing that matters to your clients. The truth is that it is about the entire experience for them. No one is likely to come back to a business that they don’t trust. Especially when transacting with the company requires sharing personal information. Remember, we live at a time when data breaches are quite common. People have become aware of how dangerous the online world can be. You need to gain their trust in this online world, and a secure platform allows you to do so. Something as simple as an HTTPS tag and a green bar on the top of your website helps in establishing this trust. The initial cost of securing your platform will be more than compensated by the customer lifetime value of each of your users. Don’t leave your website unsecured. Instead, invest in getting proper SSL and HTTPs certification. Don’t think of it as an expense. Consider it as an investment. You will gain benefits out of it, both in the short and long run. You can’t survive in the online world without having a decent ranking. 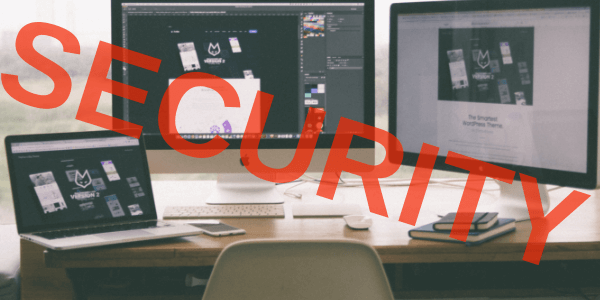 You can’t have a decent ranking without making your website secure. Take action today.